The third and final day of the "durrrr" Million Dollar Challenge saw Tom Dwan destroy Sammy "Any Two" George to the tune of $750,000. Play just wrapped up for the night after Sammy George busted for the final time. 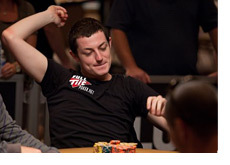 Tom "durrrr" Dwan, who originally bought in for $250,000, ended up leaving the table with exactly $1 million dollars in his stack. Sammy "Any Two" George, on the other hand, busted multiple times before finally deciding to throw in the towel for the evening. The game of choice was primarily No Limit Hold'em, although there was also a little bit of PLO thrown in as well. By the end of the evening, Sammy George was completely dejected after getting busted multiple times by "durrrr". Dwan played nearly flawlessly, making big calls, bluffs and folds throughout the match. 1. AA vs AK. This was the first time that George busted in the session. A cooler to be sure, as George picked up A-K, while Dwan picked up pocket Aces. The Aces held up, and George was forced to rebuy for the first time. 2. Qs-Jd vs 5d-7s. The flop comes 6s-Qd-3c, giving Sammy George a pair of Queens (Q-J). George checks, Dwan bets $5k, George raises to $13k, Dwan re-raises to $52k, and George calls. The turn brings the 2d. George checks again, Dwan bets $93k, and George folds. Dwan takes down the pot with 7-high. 3. The two had agreed to play seven-deuce, where if somebody won a hand with 7-2, then the loser would have to pay $10k. Dwan had 7s-2h, while George had Ad-6c. The board read Jh-Ah-6h-3c-3d. George checked the river and Dwan pushed all-in, holding nothing but 7s-2h. George agonized over his decision, eventually deciding to fold after a long think. Dwan flipped up his 7-2, adding insult to injury for George. 4. The final hand of the day. On a flop of 7d-6c-4d, George moves all-in for his last $100k holding 9c-4c. Dwan calls holding Ad-7h. Dwan's hand holds up, and George busts for the final time of the evening. So, by the end of the challenge, Dwan walked away with nearly $800,000 in total profit. 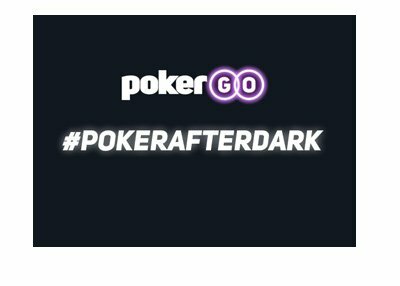 Dwan, who got his November off to an absolutely horrific start after getting smashed by "Isildur1" on Full Tilt Poker, has had a $1.5 million dollar upswing over the past 5 days when combining his online and live results. 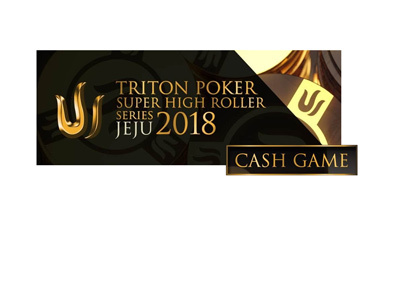 I get the feeling that we might see another "durrrr" / "Isildur1" battle on Full Tilt Poker later tonight..